← Hooray for the internet. Some de-stash that will probably be used as a gift for somebody. Not my colors, but fun to knit with. Today’s fiber Friday is a bit of a mix. 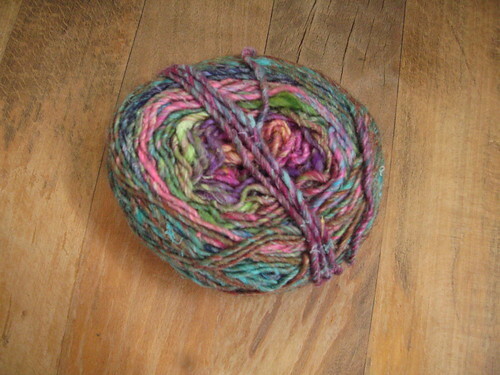 On one hand, the fiber is lovely-looking. On the other hand, this is a chance for me to air grievances about it. 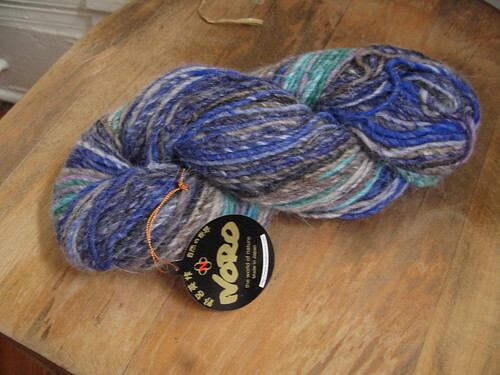 Noro is a guilty pleasure for me (and before you get too far into this, I will say that this post is an argument that I’ve heard from many knitters, and a conversation that happened between myself and the CG this past weekend, so is nothing new). I love its colors. I love that it variegates and shifts and lets me be lazy and knit boring patterns. I used it for my most recent tea cozy project, which went speedily mostly because I was obsessed with watching the color change. I know there are other yarns out there that do the same thing, but Noro seems to have something that brings me back to it. Mostly I use projects for friends as an excuse to buy it and knit with it (I don’t actually have anything of my own knit out of Noro). It is also expensive, and so I don’t buy it very frequently. This brings me to my main point, which is that I cannot figure out what makes it so expensive if it is actually quite awful yarn (aside from its lovely and varied colors). The tea cozy I knit was beautiful and a great Noro thing because you don’t have to wear it next to your skin (my Brown Betty never protests). While I was knitting the cozy, I was picking out little bits of twigs and other flotsam. Seriously? Flotsam? I realize it comes from Japan and is Fancy, but I expect my expensive, Fancy, Japanese yarn to be made from wool that is properly processed in advance. Moreover, I had to stitch it together a couple of times because the fiber came apart as I was sewing. Why the twigs? Perhaps we can come to some sort of happy medium and knock off some of that cost so knitters don’t grump. Well, anyway, regardless of the scratchiness or the plant fibers, the tea cozy turned out great (if a little large), and I will most likely use the fiber again in the future, even if I complain a lot. Because it’s lovely to look at. This entry was posted in Fiber Friday, knitting and tagged fiber, Fiber Friday, grump, knitting, noro, yarn. Bookmark the permalink.